Founded in the year 2006, Patanjali is an Indian consumer goods company. Baba Ramdev along with Acharya Balkrishna established this company in the industrial area of Haridwar. Patanjali offers a wide range herbal products. The main motive of Patanjali is to establish the science of Ayurveda in accordance with the latest technology. Each of the products are produced hygienically with the help of modern machines. This helps to maintain the quality and nutritional value of the products. Patanjali Ayurvedic products are known to heal ailments naturally without any side effects. 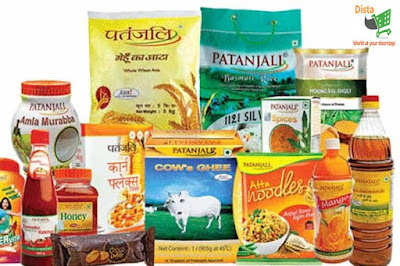 So let’s explore some of these amazing Baba Ramdev Patanjali Products. An excellent rejuvenator for people of all age group and gender, Special Chyawanprash of Patanjali is a well-known medicine. Consuming Chywanprash is 500 years old tradition. Named after its inventor, Chyawan, this Ayurvedic mixture is made with several herbal ingredients like dashmool, khareti, mughdparni, pippali, mashparni and many more. Filled with vitamin, mineral and anti-oxidant properties, this mixture strengthens the digestive system and helps our body to fight against common ailments like cough, dysnoea, voice disorder and breathlessness. Doctors also prescribe this magical mixture for curing many Male problems, strong bones, teeth and muscle toning etc. So bring this Special Chyawanprash today and improve your daily life. Famous for quality and taste, Patanjali’s basmati rice is made from selected premium quality paddy. These crops are collected from the foothills of Himalayas and the other rice bowl states of India. Each grain of this basmati rice is long and slender. Patanjali has variety of Basmati rice to offer. Special Basmati, Rozana Basmati, Basmati silver, Dhanashree Basmati and XXL basmati are the most famous one. All these variety of rice possess some amazing features. Well known for the aroma, these rice come in a unique packaging style. This packaging style helps the rice to stay hygienic and safe. Patanjali Basmati rice come with a shelf life of 24 months. The magical powers of Aloe Vera plant are known to all. It has been a tradition to use aloevera gel to cure many skin ailments. Following the same tradition Patanjali has brought Saundarya Aloevera gel and Saundarya Aloevera gel Kesar Chandan. Enriched with the medicinal qualities of Aloevera these gels keep the skin healthy, beautiful and energetic. It’s also very useful in treating kitchen burns and other skin injuries. Since the launch, both the gels have received multiple appreciations across the world. With the goodness of Brahmi, Amla, Saffron, Ghee, Almond and other special ingredients, Patanjali’s Amrit Rasayan is a complete nourishment for our brain. This Divya Rasayan increases our power of learning, concentration and intelligence. It also effects our vision positively. This mixture can be taken twice a day with warm milk for better results. Even children above six can consume this magical solution. This Rasayan comes in unique package of 1 kg with a shelf life of 12 months. An excellent medicine for improving our digestive system, Patanjali’s Pachak Ajwain with Aloevera is a naturopathic preparation. This Pachak is a perfect combination of Ajwain, Ginger Powder, Bay leaf, Coriander and Aloevera. Regular consumption of this Pachak can increase the activity of digestive juice which influences the digestive process positively. Apart from this, Patanjali’s Pachak Ajwain with Aloevera also has several kind of vitamins, minerals, antioxidants and fiber. These elements help to cure common ailments like cold and cough. It can be taken twice a day for better result. Patients of diabetes, hypertensive and pregnant women should consult their physician before consuming this Pachak. So these are the top 5 Patanjali Ayurvedic products. Order these products today to live a happy and healthy life.